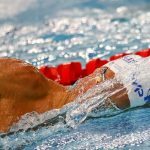 Marseilles coach Romain Barnier breaks down how he took a raw, unbridled talent and created a 50m-freestyle Olympic champion. 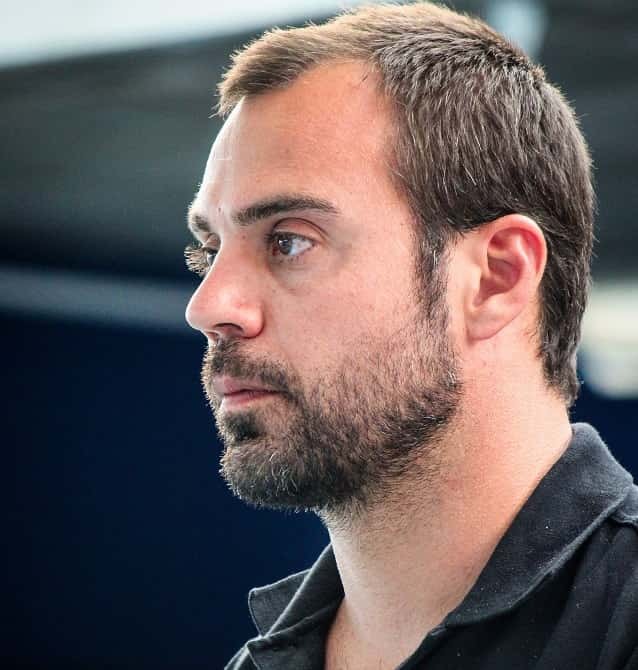 Marseilles coach Romain Barnier is no stranger to fast swimming. A lot of his training philosophy comes from time spent swimming at Auburn University. His coaches there, David Marsh (now at SwimMAC) and David Durden (now at Cal-Berkeley) are who he cites as his major influences and mentors. It’s Marsh in particular who indoctrinated Barnier in having a dualistic approach to coaching fast swimmers, focusing both on the science and the art of bringing speed out of athletes. Much like Russian freestyle legend Alex Popov Manaudou was originally a backstroker. 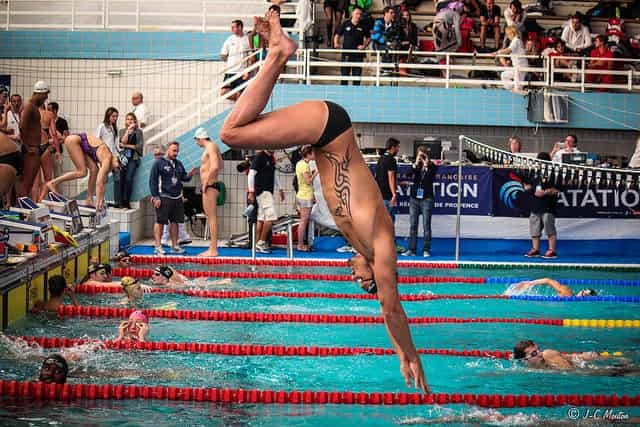 He transitioned to butterfly for a short while (which he still races when the 50m butterfly presents itself at world championship meets) before landing on freestyle when he moved to Marseilles in spring of 2011. When Florent joined he wasn’t considered a lock for the Olympic team, much less a gold medalist. France is exceptionally deep in the men’s sprint freestyle events, and at Marseilles alone the club already had two :21 second freestylers in Fred Bousquet and Fabien Gilot. Prior to his arrival on the coast Manaudou had been training with his brother with an eye on racing the 200m individual medley. “He was doing a lot of aerobic work of all four strokes in training,” notes Barnier in the Gold Medal Coaches Clinic presentation. Sprinters live and die by their start, and for Manaudou, he’s always had it. 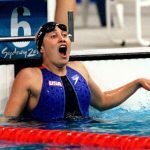 When he first arrived to the program Gilot and Bouquet were already there, and Manaudou could hammer them off the starts already at that point. And it’s only gotten better since then. “He doesn’t train starts like normal coaches would coach,” Barnier says, noting that they don’t use video, or do the prerequisite 10-15 starts before and after training. “He hits it with a steep angle,” says Barnier, acknowledging that Manaudou benefits from having an exceptionally powerful dolphin kick which he uses all the way to the 15m mark. 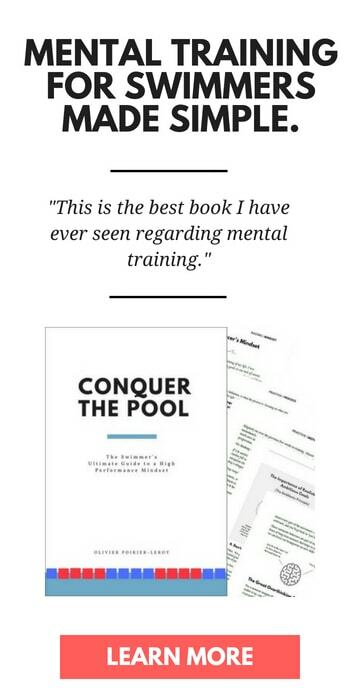 The training philosophy that Barnier uses with his athletes was born out of his experience at Auburn, which had taught him that in order to swim fast in competition you need to train to race, and not “train to train,” as had been the case when Barnier trained in his youth in France. This means that with Manaudou his work in the water is either very slow or very fast, with the upper level speed being the top priority. 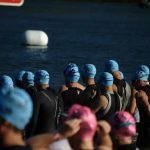 With the sprint events being decided by the absolute slimmest of margins there is a large amount of focus on technique (20-30% of the workout), with a lot of work and attention being placed on the fundamentals and the details in the water. The technique work is often set-up as “free time”, where the athletes are given a block of time within each workout to choose and work on drills of their choosing. Instruction comes in the form of peer coaching as well as from the coaches. 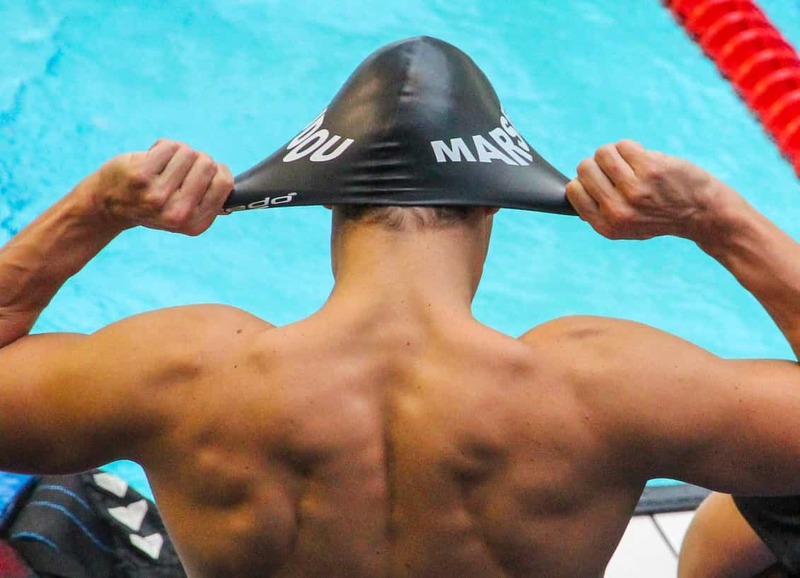 Prior to Marseilles Manaudou had not done dryland, which might be surprising when you see his massive frame. In Barnier’s experience at least 18 months is required to really experience the impact of the things done in the weight room in the water, and with only 17 months between Manaudou’s arrival and the Olympics they decided to take a longer term approach with the athlete. In addition to three weekly weight training sessions there is a lot of work done on the bike, with the swimmers often biking between 50-100 kilometers per week up and around the mountain around Marseillies. There is also an emphasis on core work, which is pivotal for Manaudou and his high-powered straight arm stroke and recovery. 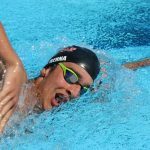 Besides introducing him to a structured weight training and dryland program there was also the issue of cleaning up the talented swimmer’s technique. The program has a consistent emphasis on both aerobic work and speed. Here is what the cycle of training looked like from his arrival leading into London, in which they were actually training him for the 4×100 freestyle relay. April-July, 2011: Introduction to dryland training, improve technique in all 4 strokes, racing experience. September-December 2011: Cross-training, biking, circuit (emphasis on the lower body), maintain aerobic capacity, maintain speed, averaging 40km per week in the pool. January-March 2012: Build strength, 100m race specific work, improve legs in training, maintain speed, 40km per week in the pool. 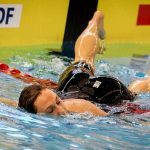 March-June 2012: Maintain strength, mix aerobic capacities and 100m race specific work, technical stabilisation, averaging 45km per week in the pool. June-August 2012: Focus on London; build explosiveness, sprint specific, learn 50m technique, build speed, 30km average. 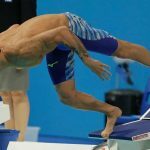 Possibly the most incredible part of his training is that he completely changed his technique six weeks out from the 2012 Olympics. He changed his stroke from a bent elbow recovery and pull to a straight arm recovery and pull. For Barnier the advantages of the straight arm freestyle are pretty clear. 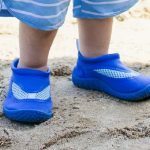 The swimmer operates from a more stable platform (strong core! ), there is less up and down motion that comes with a galloping freestyle, more power from the straight arm pull, and a high tempo, something Florent struggled with at first when he made the switch. 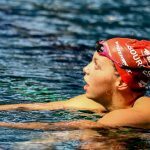 Switching over to the straight arm stroke not only gave Florent something to really focus on during the last six weeks of preparation for the Olympics, but it ended up being the catalyst for a significant drop of time in the 50m freestyle final. Swimming out of lane 7 he would shock the 50m freestyle world record holder and favorite Cesar Cielo by swimming a textile-best ever, 21.34. During the breakout Florent was the last to pop up at 14.7m after doing 7.5 dolphin kicks. He was the only one to stay under to 15-meters. He got to the 15m mark in 5.32 seconds. His stroke frequency was 63, 63, 60. Florent took a total of 34 strokes, and his distance per stroke cycle was 2.1 meters. In the preparation for London Barnier notes that they were doing less meters, with Manaudou swimming the race in less strokes and also faster compared to Trials, where he had gone 21.8 and doing it in 39 strokes.